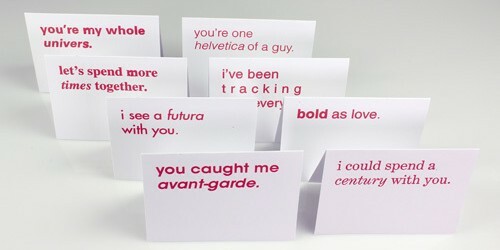 Designers Tara Riccio and Katherine Buckner came up with these funny typography Valentines cards that are making me chuckle this morning. Happy Valentine’s Day everyone! Check out these amazing hand-painted typography signs by Georgia Hill, an Australian freelance typographer, illustrator and graphic designer living in Berlin.